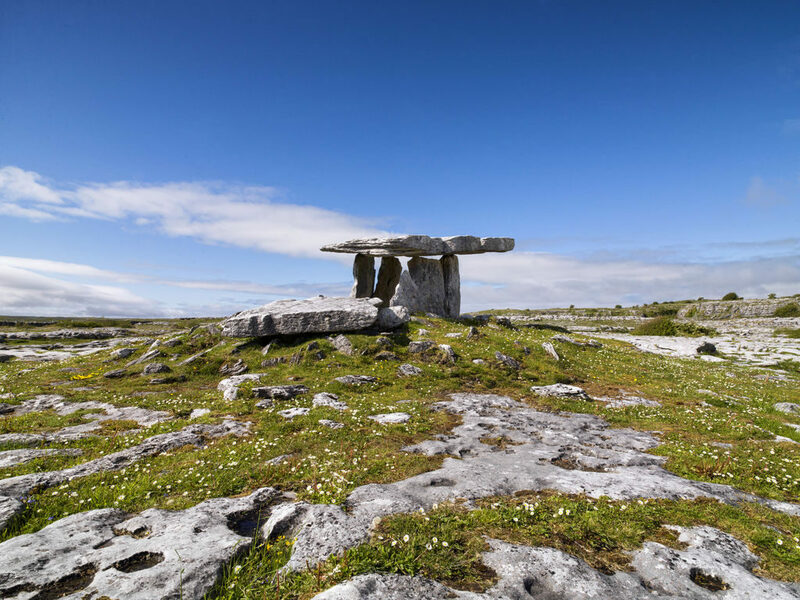 Taste the flavours of the West on your tour of Ireland’s Wild Atlantic Way when you visit the Burren in County Clare. Not only will the unique beauty of the landscape astound you but the Burren also boasts some of the finest culinary delights of the whole of Ireland. Autumn is one of the best times of year to experience all that the Burren has to offer. In the last weekend of October, the Burren Food Fayre brings together local producers, and pure food with signature flavours from the region. The festival runs over two days (29 – 30th October) in Lisdoonvarna, a pretty spa town in County Clare. For the dedicated Foodie it is possible to take part in a selection of Artisan Food Workshops run by local experts and producers from smoking fish at home, to combining vinegar with foods for wellbeing to cheese making made easy, or learning how to make the best of your Burren Beef and lamb. One of the highlights of the festival is Oonagh O’Dwyer’s Foraging Walk from the Wild Kitchen. 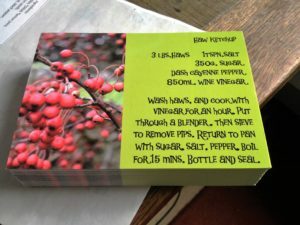 Learn about edible wild plants, what is in season, and what not to eat, and all the lovely ways to use the wild bounty of the Burren’s nature. There will also be a tasting of Oonagh’s seasonal and delicious Haw ketchup. The walk is on Sunday 30th October at 11 am, meeting point is in the Pavilion, Lisdoonvarna and spaces are limited. You can also experience one of Wild Kitchen’s foraging walks at any time of year, when they can include a picnic lunch / cookery demonstration or a ‘pop up’ wild food experience. On Sunday afternoon, the Food Fayre offers a vast array of culinary delights with live demonstrations and plenty of local produce to enjoy. At any time of a year, a visit to the Burren offers a chance to follow its celebrated Food Trail. 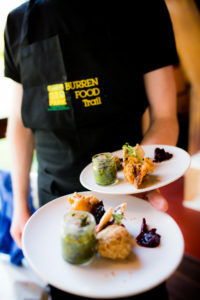 Winners of the European Destination of Excellence (EDEN) 2015 – Tourism and Local Gastronomy and Irish Restaurants Association Foodie Town 2015 Title, the Burren’s Food Trail is so much more than a list of places to eat as it reveals the path that your food takes from the field to the plate. The trail is designed for you to choose yourself where to stop and dip in according to your preferences. 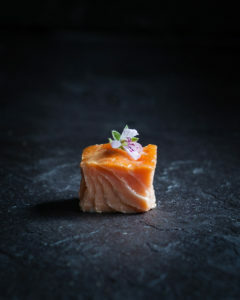 At Burren Smokehouse you can learn how Irish Organic Salmon is smoked following an ancient tradition, and of course taste its delectable organic salmon. Afterwards why not visit Kieran’s Kitchen @ The Roadside Tavern and, while listening to traditional music, try their Burren Trail Signature dish of hot smoked salmon served on a base of spring onion mash, wilted greens, and a wholegrain mustard, lemon and cream sauce? 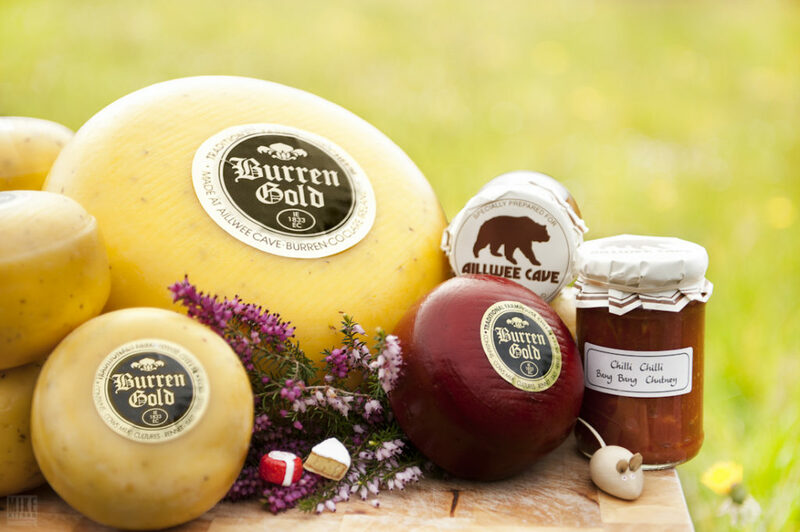 If cheese is your passion, the Burren Cheese Trail offers the chance of visiting a family run farm and watching cheese being made using traditional methods. Combine a visit to the Aillwee Cave and Birds of Prey Centre where you can explore the unique underworld of its cave, or enjoy their Birds of Prey along with a visit to the farm shop to taste its smoky Burren Gold Cheese, or if you have a sweet-tooth indulge in some local fudge. A visit to Ballyvaughan Farmers Market (every Saturday, May – October 10 – 2 p.m.) is the ultimate Foodie destination in the Burren. One of the busiest, and most colourful farmers markets in Ireland, with top quality wholesome food from local producers, here you will experience the rich, and yet delicate flavours of the Burren. Afterwards a visit to the Burren’s ethereal strata of limestone with its abundance of fauna and flora provides a fitting backdrop for your culinary explorations. It is no surprise to learn that in the Burren only you will find Arctic, Alpine and Mediterranean flowers growing side by side. 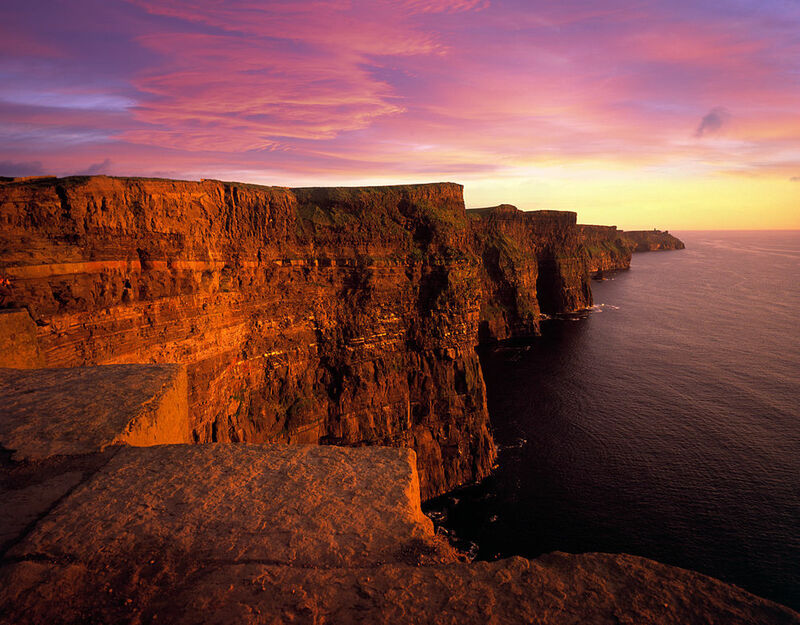 A bracing walk along the Cliffs of Moher, where you can view its dramatic 200 meter drop to the wild crashing Atlantic Ocean, will help to build up a hearty Irish appetite. There is no shortage of fine artisan dining to choose from in the Burren from Linnane Lobster Bar’s signature Seafood Platter , to the freshest seasonal produce at Wild Honey Inn. A favourite is Sheedy’s Hotel and Restaurant in Lisdoonvarna where you will be staying on The Destination Company’s The Wild Atlantic Way. Sheedy’s gourmet cuisine is an unforgettable experience. 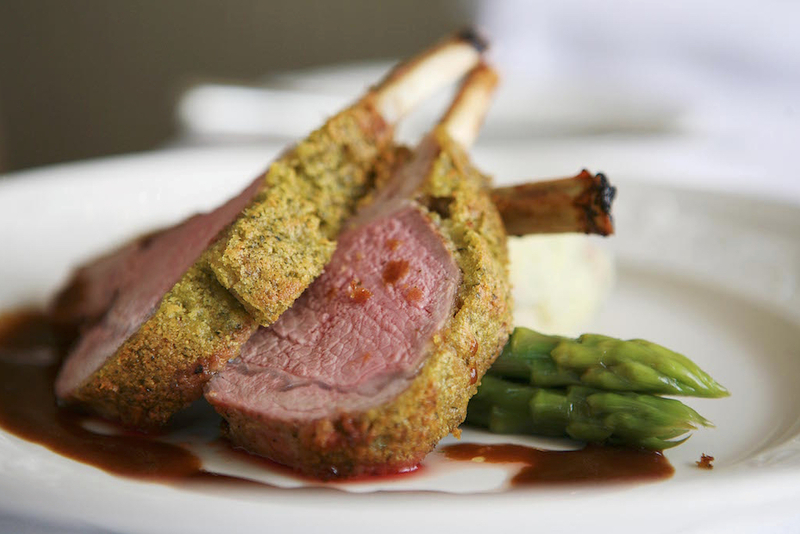 Chef John Sheedy’s signature Roast Rack of Burren Lamb served with Slow Cooked Lamb Belly, local New Quay spinach followed by his famous Lemon Posset with fresh fruit is pure Foodie Heaven. Call 800.832.1848 or 212.757.5797 to talk to one of our destination experts or browse our itineraries here and start planning your trip today.